The boys bet the girls $25 that the girls will be caught gossiping before the boys are, then pretend to talk in their sleep about a juicy story, which they made up. Liz Cooper makes a wager with George that men gossip as much as women. Trying to fool her, George reveals some fake gossip but it turns out to be too true. Special Notes: This episode is often confused with broadcast episode #48, "Hair Dyed", in which Liz's hair is accidentally dyed black. 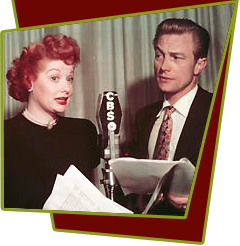 This program was a basis for I Love Lucy episode #24, "The Gossip".